Our Warehouse and Distribution team is a group of hardworking and athletic individuals. 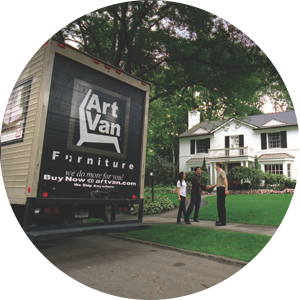 They work to delight customers by capping the sales process with a great delivery experience. This role offers a rewarding and successful career to help support you and and your family. Our rapid growth offers stability, abundant hours and the opportunity to advance within the organization—even if you’re interested in Sales, Management or other positions. You will engage and delight guests by making the delivery experience as easy as possible. Working in a Delivery role does require a chauffeur license. You will ensure products are stocked and ready for delivery. Choose from a variety of positions, whether you’re interested in days, nights or weekends.